UP Board Student's Note In Answer Sheet Stumps Examiners: "Too In Love To Study"
New Delhi: A crudely-drawn heart with an arrow through it. 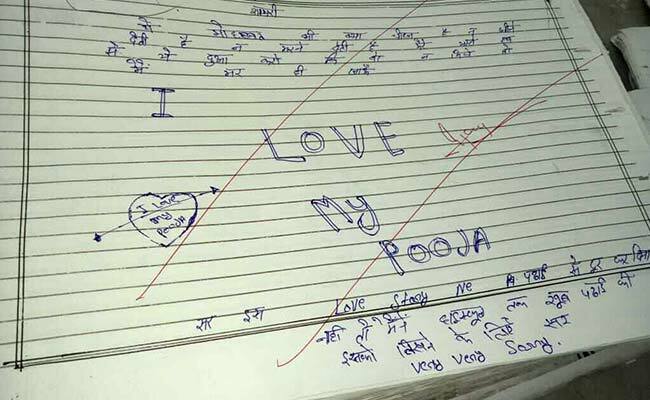 The words "I love my Pooja" and an accompanying note: "Sir, iss love story ne padhai se door kar diya. Nahi toh maine high school tak khoob padhai ki," (Sir, this love story distracted me from my studies. Otherwise, I used to study a lot until high school.) 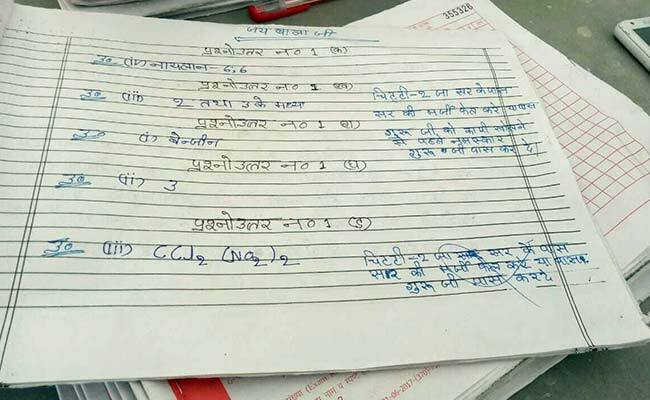 One Uttar Pradesh board student's explanation for not studying has left examiners in Muzaffarnagar stumped. Examiners evaluating papers for UP board's intermediate chemistry exam are saying that they are coming across all kinds of bizarre explanations and desperate pleas from students begging them not to fail them. Some have even reported finding actual notes of currency - ranging from Rs 20 up to Rs 300 - as bribes stashed in answer sheets. In one answer sheet for a Class XII chemistry paper, instead of answers, examiners found a love note. "Yeh mohabbat bhi kya cheez hai, na jeene deti hai, na marne deti hai. Yeh dua karo ki woh na mile toh mai mar hi jau" (Love is strange, it doesn't let me live or die. Pray that if I don't get her, I die), wrote a love-sick student in his answer sheet. His earnest explanation for his complete lack of exam prep: he was too distracted in love. The note even ended with an apology: "Isko likhne ke liye sir very, very sorry" (Sir, I'm very, very sorry for writing this). But that's not the only such note that examiners in UP encountered. 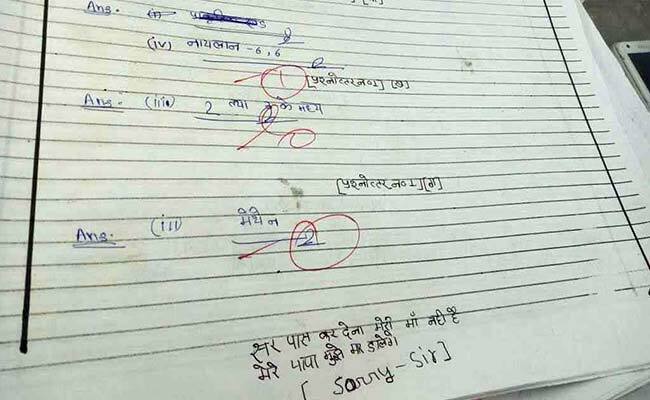 In an answer sheet, a student included the note: "I don't have a mother. My father will kill me. Sorry, sir." "I don't have a mother. My father will kill me," begged one student. "My father died when I was very young. I have to help out around the house. Please promote me to next class," pleaded another. Others brazenly included cash along with their answer sheets. One cheeky student even threw in a rhyming couplet: "Chhitthi, chhitthi ja sir ke paas. Sir ki marzi fail kare ya pass." We can't help but wonder whether he was expecting to get points for creativity. 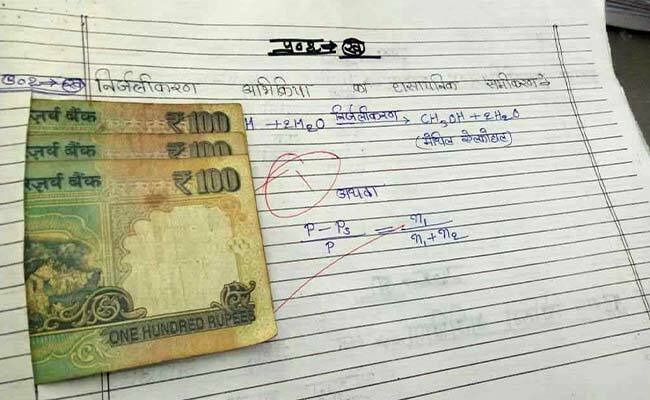 "Yes, we are getting currency notes and weird messages from the students," admitted District Inspector of Schools Muzaffarnagar, Munesh Kumar. "But it doesn't mean our teachers will give them good marks in return." He added that he thought it was wrong on the part of students to include such messages in their answer sheets.